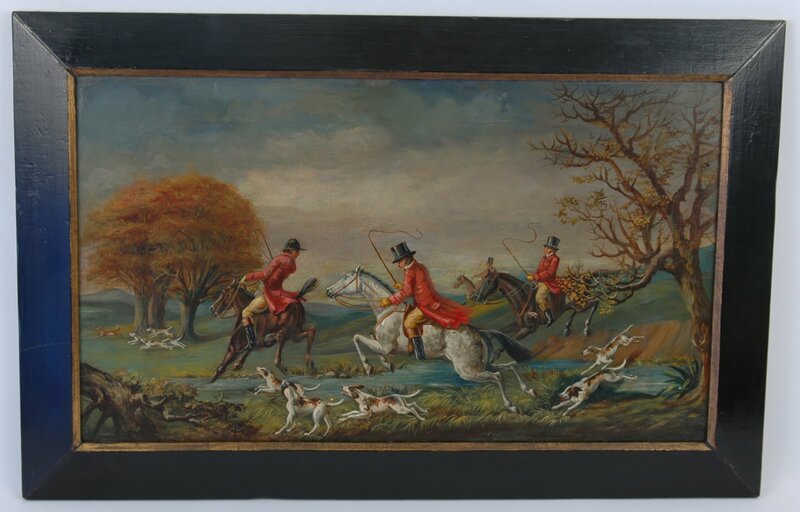 Dimensions: 35 cm by 60,5 cm. 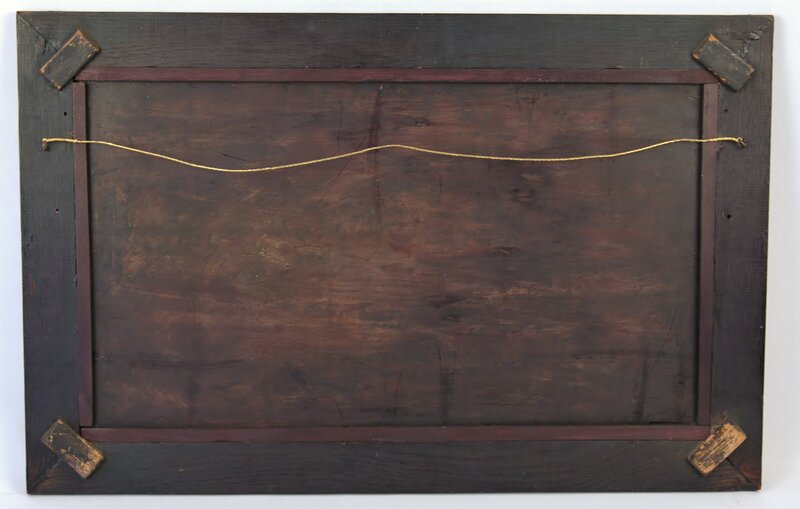 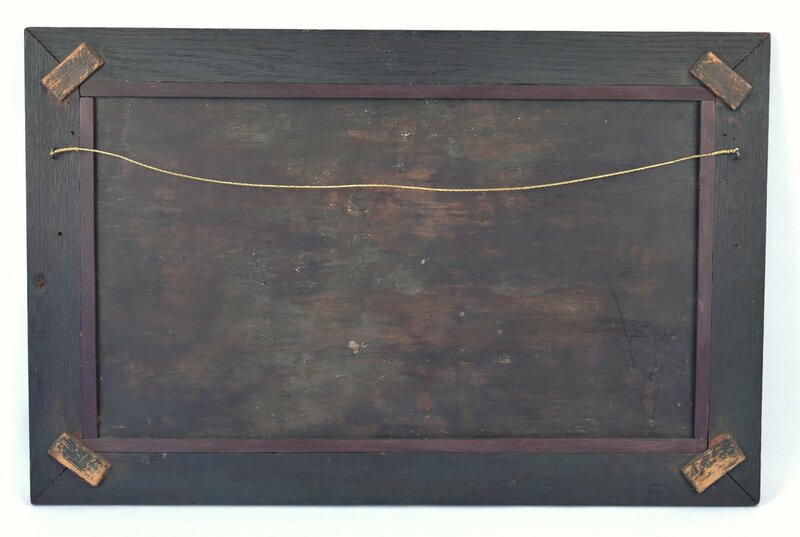 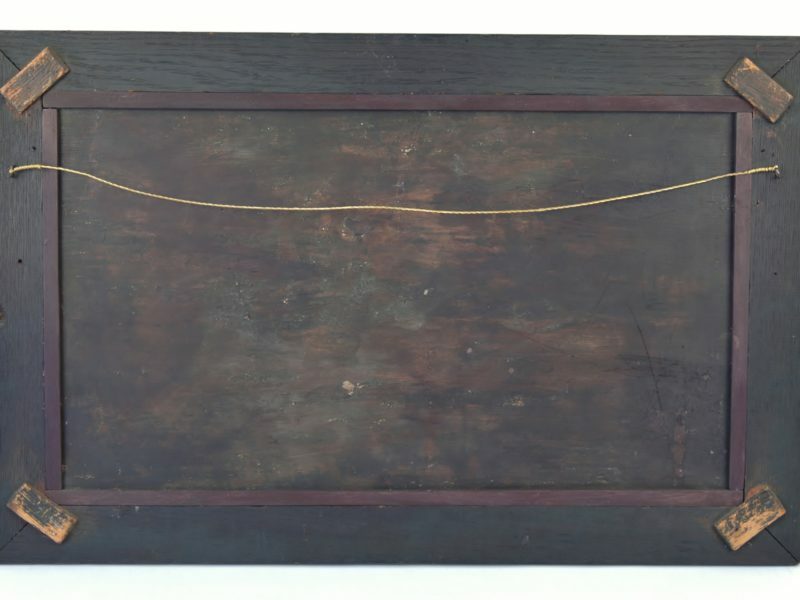 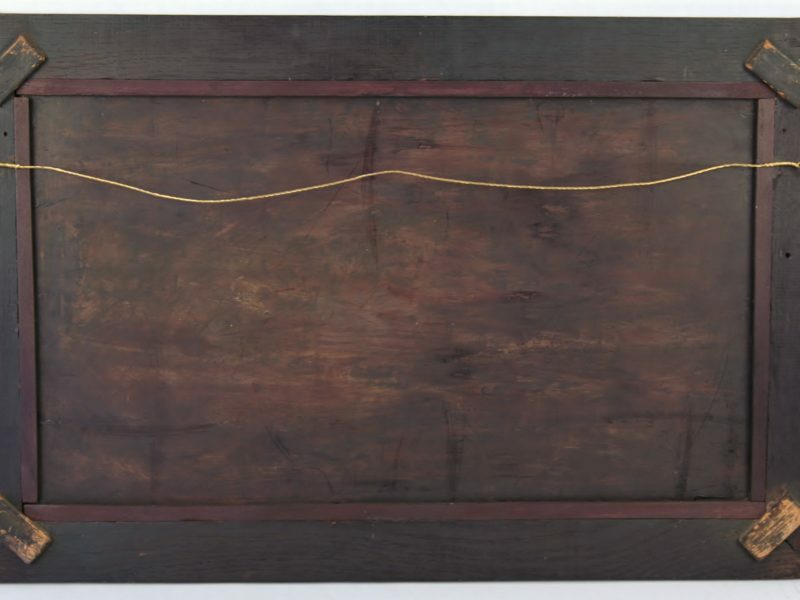 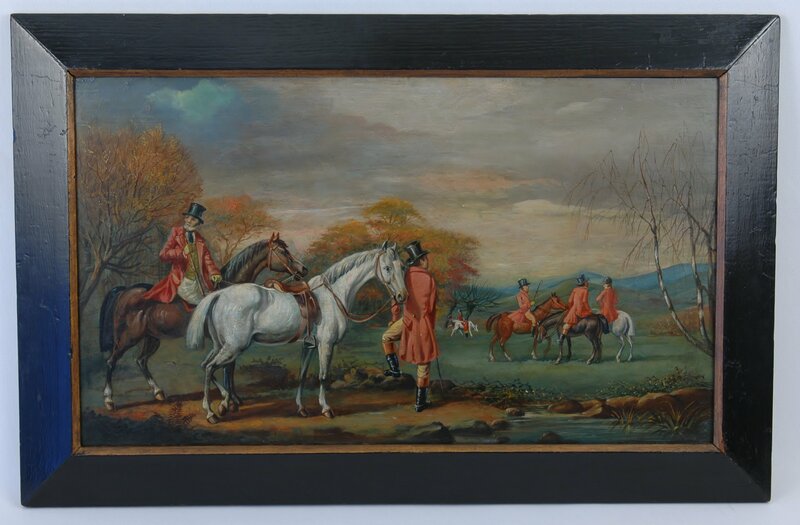 A pair of English oil on boards dating from the early 19th century. 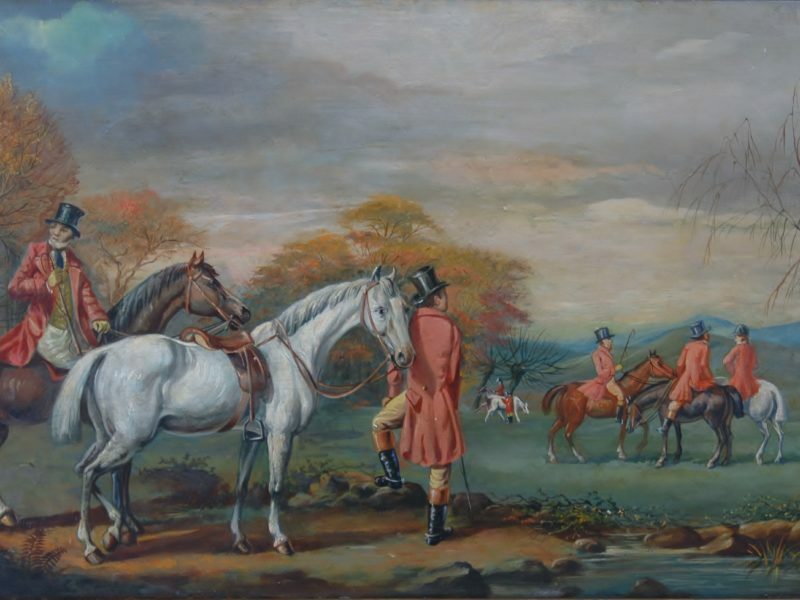 As can be seen from page 59 of ‘The Dictionary of British Equestrian Artists’ by Sally Mitchell, 1985 these can be dated between 1820-1839. 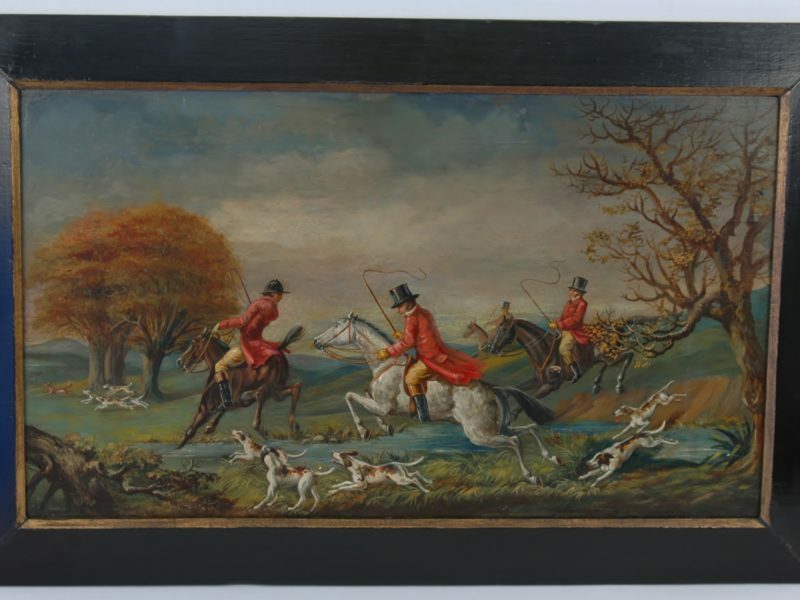 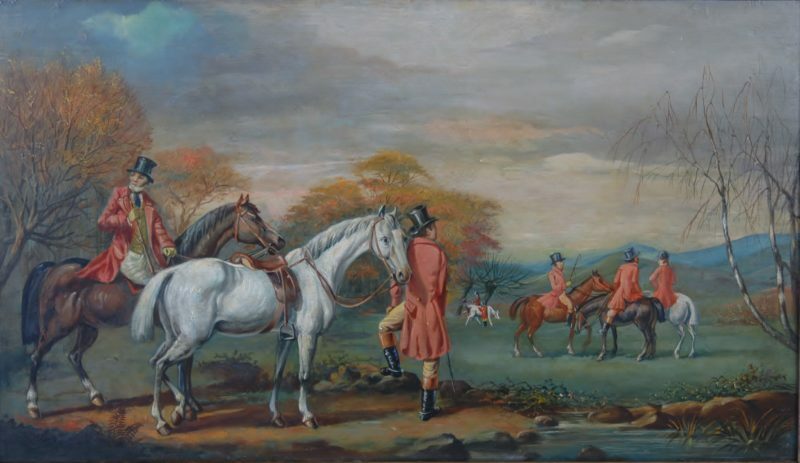 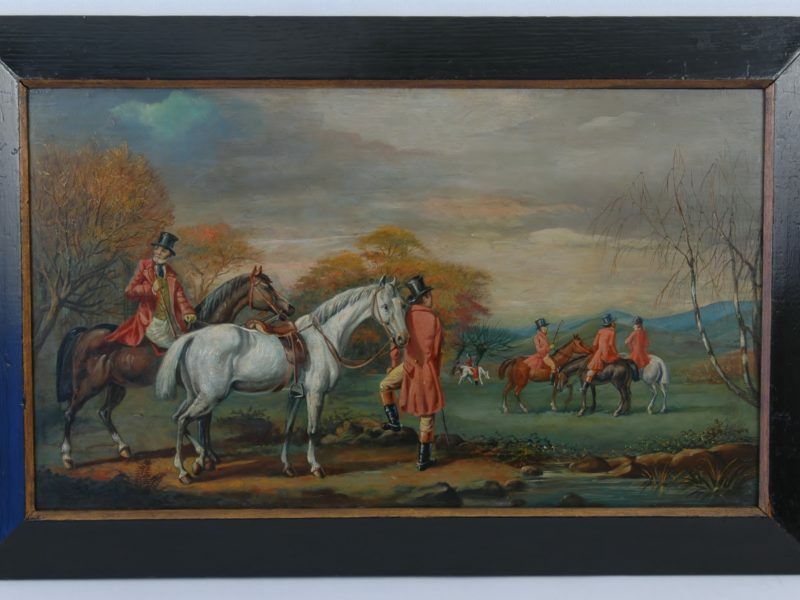 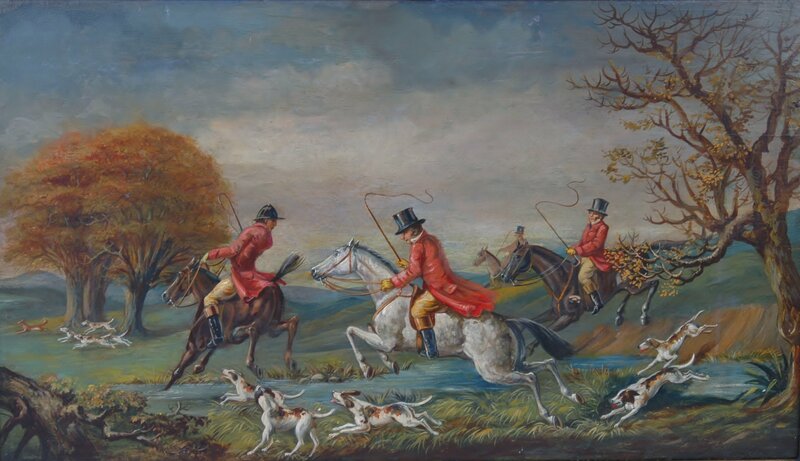 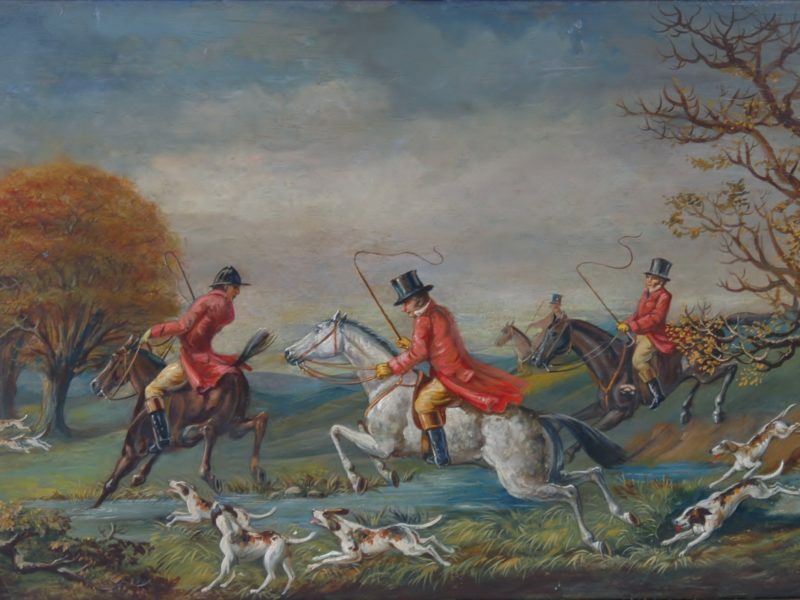 Particularly noticeable is the specific dress style of the Gentleman and Hunt servant in the first oil and the hunting saddle and square dock tail in the second painting.